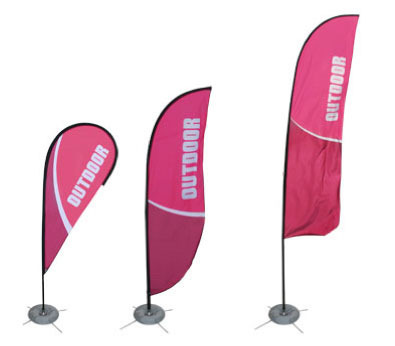 These flags save you time and money by being versatile enough for indoor and outdoor use. Their unique shapes attract attention and are resistant to being blown away by the wind. You can choose to print single sided or double, and they come with all of the necessary hardware you need for their versatile use.